Sarah Shuhainor: HOLIDAY WITH SHARIFAH ALAWIAH AND EZA SYAZANA. 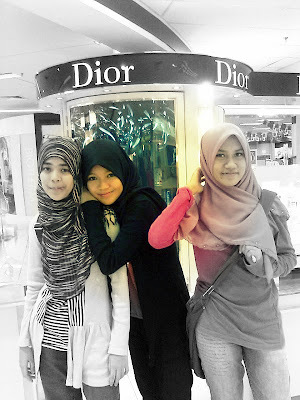 HOLIDAY WITH SHARIFAH ALAWIAH AND EZA SYAZANA. I had a very great time with two people MY GG PARTNER and MASHIMARO CHAK CHAK. It was awesome. 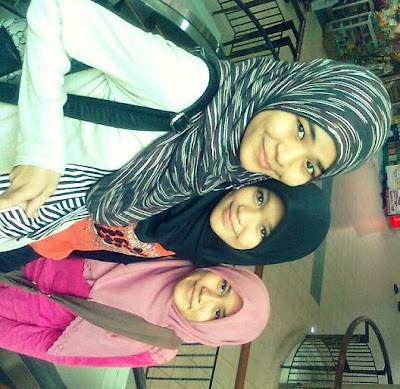 We went to Kuantan on the day PMR results was announced. I'm so upset with my result so I decided to follow Loya Eza so that maybe I can have some fun. but yeahh I had a lot of fun with them :P The night before we had a sleepover at Loya's. And her mom said she wanted to take us for holiday. I was like why not I'm free? Its better than stiff home with this computer. So yeah yeah the next day I packed while crying. sob sob. haha. :P but before that suddenly Eza gedik nak pergi Pavi so yeah Loya and I went there. with a broken heart. haha. Haha. Its fun to sleep with your girlfweeeenss, haha :P How many days we slept together? 5 days 4 nights. Fuyooooh, haha. I sleep quite late than them because I texted with with haha. Eza she slept early but when her Chak Chak texted her haha. terus bangun. Happy Semacam. Eza and I went outside the hotel room borak2 because we dont want to disturb others. Eza aku lompat lompat mcm gedik ah. :D Ko a eza. haha. Thanks girls for the good times we had. You guys made me forgot about not getting 9 A's. When I got home I am abnormal again. Why cant we spend a year like that? 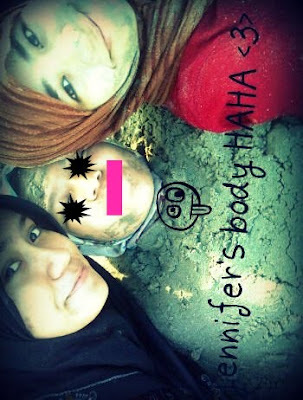 :D You guys seriously wacko gile. haha. I feel like I'm 14 while dgn korg! haha. Lepas ni kte have fun mcm ni lagi tau tau? aku je comel u guys are'nt comel as me. :P haha. haha yelah! tgkk aa kalau aku dpt 9A's ameen ameen! rempit! yeahh! ahha,sara takot. terjerit2, aku bwk moto. belom tupai bwk lg tuh. kalo tupai bwk,dye yg jerit. hahah. thanky ;) i'm happy with u too. at night especially. HAHAHHAH!